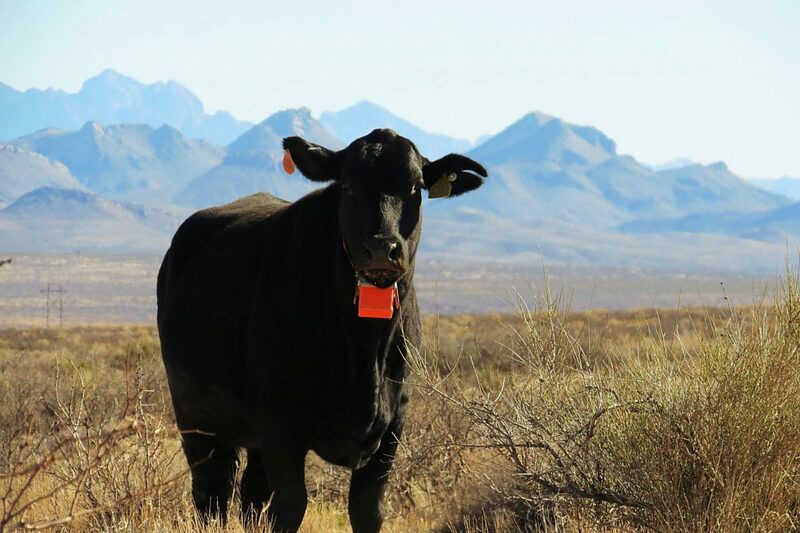 Researchers are placing GPS tracking collars on cattle to find out which ones travel up rocky and mountainous terrain to graze. They have identified some gene markers that could indicate that cattle are more willing to graze steep slopes and higher elevations. Derek Bailey said most of the cattle in the study are privately owned, but some are university cattle. Derek Bailey and his cohorts have been wondering — do your cows like to hike in the mountains? This is just one aspect of research that the New Mexico State University professor and researcher, along with others, has worked on since the 1990s to help determine if there are genetic variances between cattle that are willing to “work for their dinner” and those that aren’t. He presented his latest findings at the Beef Improvement Federation annual convention in Loveland, Colo., June 20-23. Fellow grazing distribution researcher Milt Thomas with Colorado State University also talked to BIF attendees. 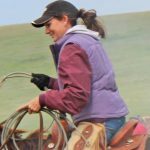 Bailey said that throughout the west, but particularly on federal lands, cattle that are willing to spread out and travel to graze, can be valuable. “A lot of areas don’t get grazed — some are too far from water. And then some areas get grazed too much, the areas close to riparian areas.” When large pastures aren’t fully utilized, ranchers lose the opportunity for income, Bailey said. Additionally, when cattle use the entire pasture, they are less likely to put too much grazing pressure in any one area. In his first study, Bailey observed cattle grazing a mountainous range in Montana and gathered up the approximately half that traveled to the further reaches of the pasture. Then he split that bunch in half to see if they showed the same characteristics again. Visual appraisal of the pasture revealed that indeed, the cows were willing to travel when grazing. “With that bunch of cattle, we saw a lot more forage in riparian areas, and more even use of steep slopes.” Bailey said it is possible cattle could be trained to do the same thing, but that if ranchers can choose bulls that will sire offspring that are likely to be genetically predisposed to “hike,” they might reap financial rewards without any extra labor. Bailey said the studies are a team effort and he appreciates that fellow researchers Milt Thomas, Mark Enns, Scott Speidel, all with Colorado State University and Juan Medrano with the University of California, Davis and Larry Howery with the University of Arizona share his interest and passion for the topic. Some cattle in California just got fitted with some new collars. Cattle in Montana, Arizona, Colorado, New Mexico are still in the study, too. Bailey and others involved in the research are taking data on about 400 cows in total this year. The collars are placed on a random sampling of cows in big, rugged areas — obtaining genetic information from the cows that don’t travel is just as important as the information from the ones that do, in order to determine just what the genetic differences are. Bailey said that out of about 770,000 different genotypes, they have already identified genetic markers in chromosomes number 4, 8, 12, 17 and 29. Cows have 29 chromosomes plus the x chromosome, he said. While the collars originally cost about $4,000 each, Bailey has worked with an acquaintance who sells collars he developed for about $250. “He’s now selling them to fund his own research,” Bailey said.